Is Washington the No. 1 state for pot smokers? Washington has a long-standing reputation for being one of the more pot-friendly places in the country. 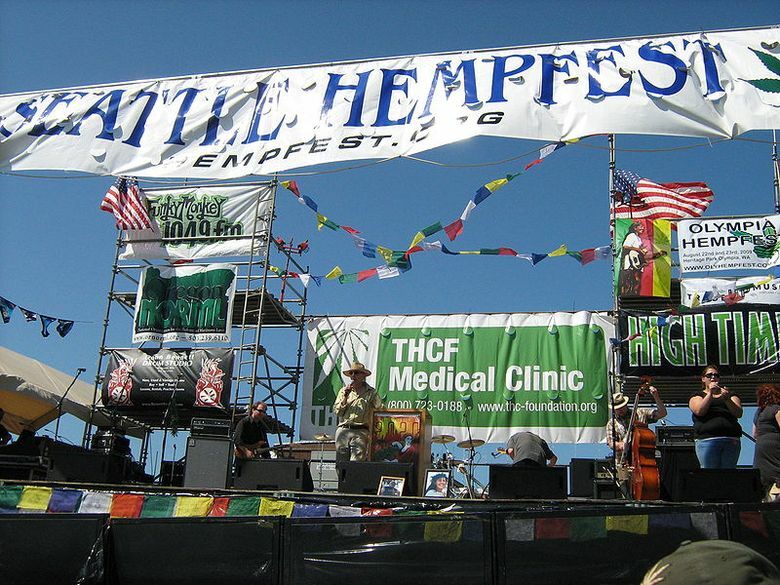 We even play host to the world’s largest pot rally, Hempfest, every year. But still, did anyone expect our trailblazing I-502 to pass with such ease at the polls? Taking all that into consideration, nobody could blame you for thinking that Washington was among the handful of states where marijuana use is most prevalent. But actually, Washington just misses the top-10 list. The National Surveys on Drug Use and Health found that in 2009-2010, 8.86 percent of Washingtonians aged 12 and up had used marijuana in the past month. With the District of Columbia included in this survey, Washington only comes in 11th place. The other state that legalized recreational pot use, Colorado, ranks third. What do you think — will Washington climb the rankings now that recreational use will be legal? Take the poll and, as always, feel free to sound off in the comments.